With 1% of all public improvement project budgets in the city going towards public art — over $40 million so far, Denver is a great place to be an artist. The Public Art Program has worked extensively with regional, national and international artists and artist studios, as well as fabricators, engineers, photographers and consultants. A complete listing of artist opportunities, guidelines, and resources are available in the Artist Information section. If you have additional questions, please don’t hesitate to call and speak with a member of the Public Art Program staff by calling 720-865-5563. High Line Canal Trail, at Hampden Ave. & Colorado Blvd. Sendero del Canal “High Line” en Hampden Ave. y Colorado Blvd. 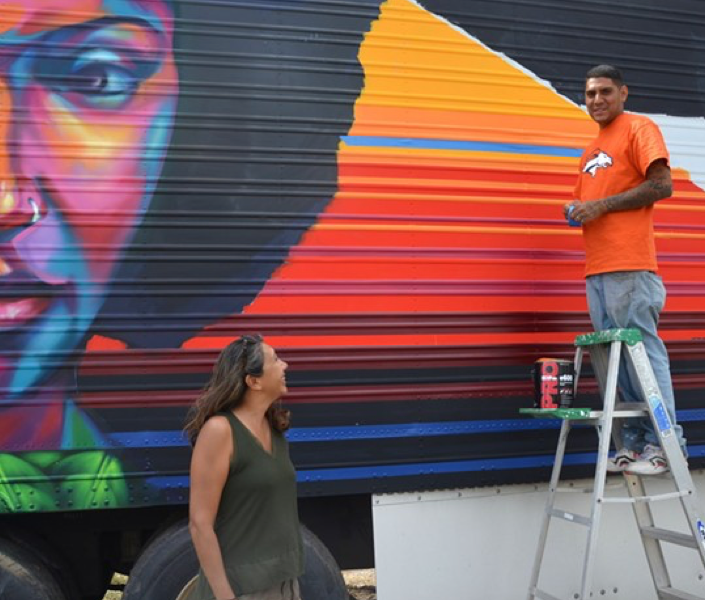 The City of Denver’s Public Art Program seeks to commission a Colorado artist or a team of artists to create a site-specific public artwork at the newly constructed High Line Canal Trail. Construction of the new trail is expected to be completed in 2020. The commission amount is $40,000 USD. This call is open to all artists and artist teams residing in Colorado. Qualifications will be accepted Thursday, March 22-Monday, April 22, 11:59 p.m. MST. Denver Homeless Shelter, 4330 E. 48th Ave. Albergue de Emergencia para Desamparados de Denver, 4330 East 48th Ave. The City of Denver’s Public Art Program seeks to commission a Colorado artist or a team of artists to create a site-specific public artwork at the newly-renovated Emergency Homeless Shelter located at 4330 E. 48th Ave. in Denver. The successful artist or artist team will be asked to consider the challenges of the shelter guests who are experiencing homelessness and approach this project with empathy for them. Artists applying for this project must be comfortable interacting in the space with, or alongside, the guests. Engagement through workshops or other means of participation is welcomed during the development of the artwork. The commission amount is $40,000 USD. This call is open to all artists and artist teams residing in Colorado. Hadley Library, 1890 S. Grove St. Hadley Library, 1890 S. Grove St. The City of Denver’s Public Art Program seeks to commission a Colorado artist or a team of artists to create a site-specific public artwork at Hadley Library located at 1890 S. Grove St. in Denver. The Hadley Library art selection panel is requesting artists to create their project utilizing the resources and equipment provided in the library’s ideaLAB. This is an exciting opportunity for artists to engage with library patrons and to have full access to what the ideaLAB has to offer. The commission amount is $10,000 USD. This call is open to all artists and artist teams residing in Colorado. Please check back for more Denver Public Art opportunities. Por favor, visite este sitio con frecuencia para informarse de otras oportunidades de Arte Público en Denver. If you are an artist seeking a commission to create a piece of public art in Denver, we want to hear from you. Please email Michael.Chavez@denvergov.org for information on program guidelines, selection processes and deaccession and relocation guidelines. If you would like to apply for a commission, create an account on CafE (Call for Entry). Denver Arts & Venues oversees the Public Art program and guides all activities. The guidelines below are intended to clarify public art procedures and answer questions Capital Improvement Project Managers and other City employees may have regarding the program. 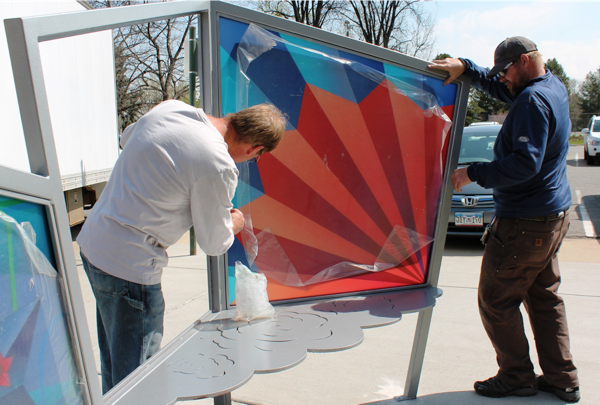 Contact Public Art Program Manager, Michael Chavez at Michael.Chavez@denvergov.org or 720-865-5561.